There are several parts of our beauty routine that feel like second nature to us, like brushing our teeth, washing our face, and putting on body lotion. 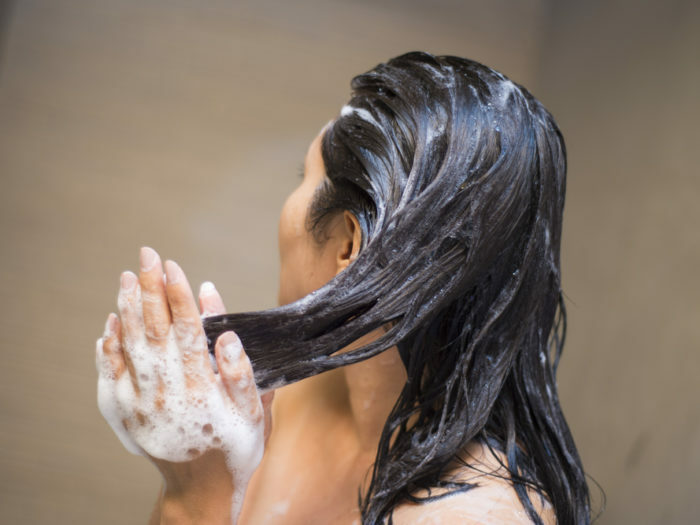 Washing your hair might feel like another routine you’ve got down pat, but there’s a pretty high likelihood that you’re doing it all wrong. Don’t take our word for it. Listen to Christophe Robin, a colorist from Paris who works with big name celebrities. Robin spoke to the New York Times and even did a live video tutorial on the correct way to wash your hair. You might be surprised with some of the information below, but take heed and your hair will look professionally done in no time. The first step Robin recommends is to brush your dry hair and get all the tangles out. Next, distribute a nourishing oil throughout the ends of your (still dry) hair. Robin says he prefers this rather than using a conditioner, which can be quite heavy for your hair. Leave it in for about 15 minutes, or overnight if you remember to do so. Now here’s the part that happens in the shower. Wash your hair with the correct kind of shampoo for your hair, depending on if you have color-treated hair, curly hair, greasy hair, etc. Use only about a teaspoon, which you can mix up with water in your hands. Lather up with your head upside down to create volume, avoid the ends, and don’t use your fingernails on your scalp. When you rinse it out, make sure you rinse thoroughly enough to where your hair feels squeaky clean. Robin said it’s very common for women to leave shampoo residue in their hair, so make sure you really rinse. After that, if you’re using conditioner, you can apply that to the ends of your hair. Robin then showed what you’re supposed to do when you towel dry your hair. You should never rub your strands dry, he said. He uses another method to get rid of excess water. “Flip your head upside down and run a towel over it from both sides quickly,” he instructed. Yes, this sounds like a long, arduous process. However, Robin said if you do it the right way, you shouldn’t have to wash your hair more than twice a week. If you work out and sweat a lot, use a homemade apple cider vinegar spray at the roots to remove grease (five drops to five ounces of water). Phew! At least your hair will be positively gorgeous.